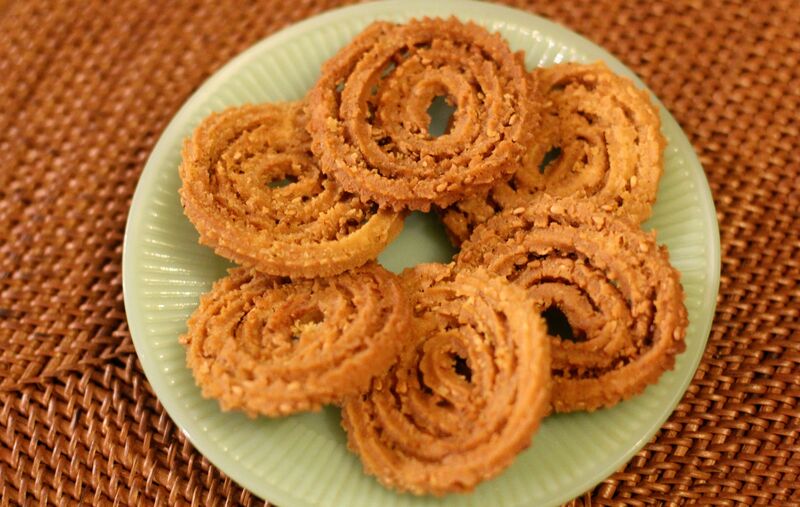 Chakli is a fried snack made from wheat flour and flavoured mildly with spices. A good chakli should be crispy and crumbly to eat. But often chaklis which are store bought tend to be quite hard and not as enjoyable to eat. 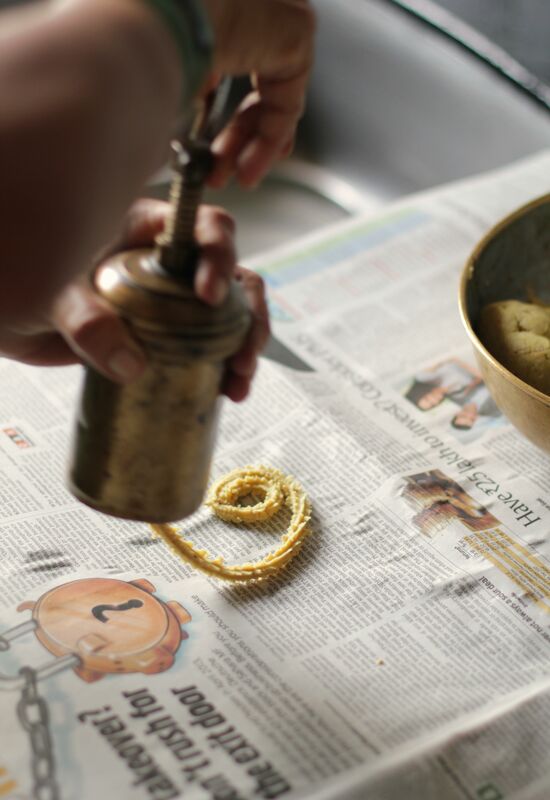 At home we make chaklis with an equal combination of whole wheat and plain flour, and then steam this for 10-15 minutes. After steaming, the flour will become a lump so its important to break it down quickly. Once slightly cool, we add melted ghee, chilli powder, sesame seeds, dash of turmeric, pepper and salt. Using water this is kneaded into a soft dough. This dough is then put into a kitchen press and pressed out into spirals that are then fried on a medium heat. You can play around with the spices and add other ingredients to the dough also like garlic paste or fenugreek or spinach. And use different flours as well – a rice flour and urad dal (split black gram) version of this is called Murukku and is popular in Southern Indian. 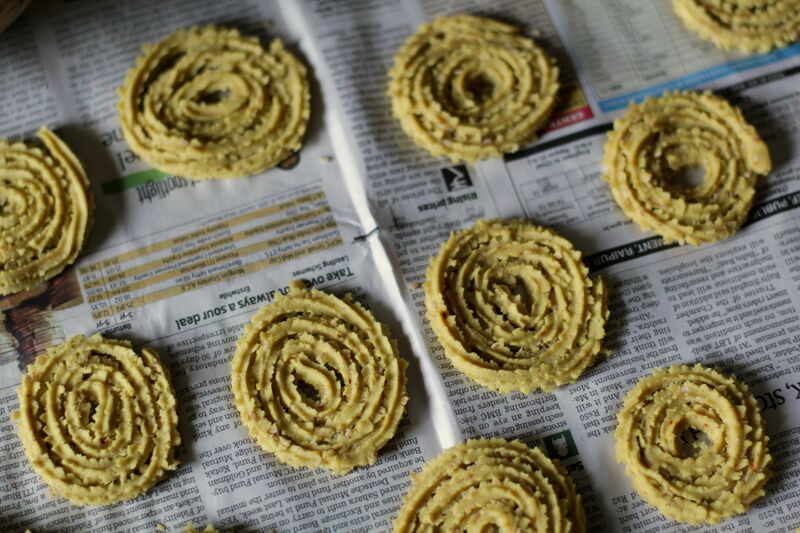 Chaklis don’t last for very long at home as they are very addictive. 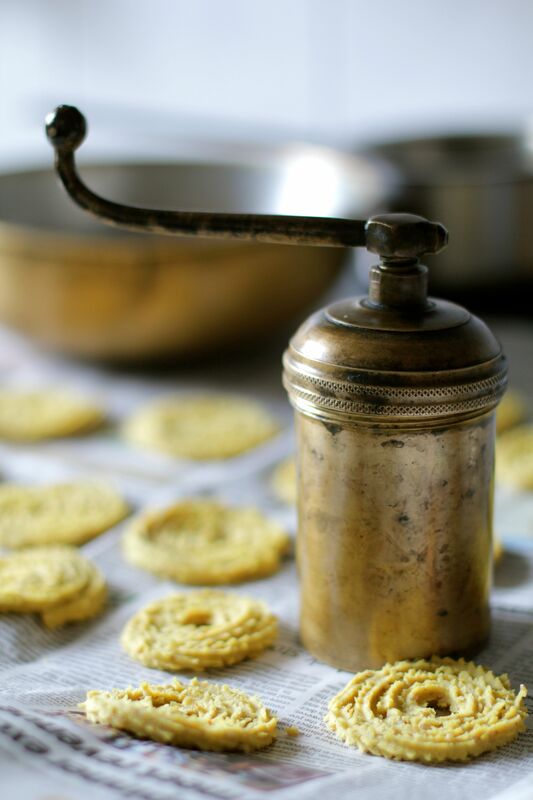 This entry was posted in Marathi cuisine and tagged chakli, flour, savoury, snacks. Bookmark the permalink.